An evil blight seeks to destroy the entire kingdom. Its disease extends into the mystical woods. Our noble ruler compels you to put on the Woodland Leather Armour Package and put an end to the wicked army that plagues the land. 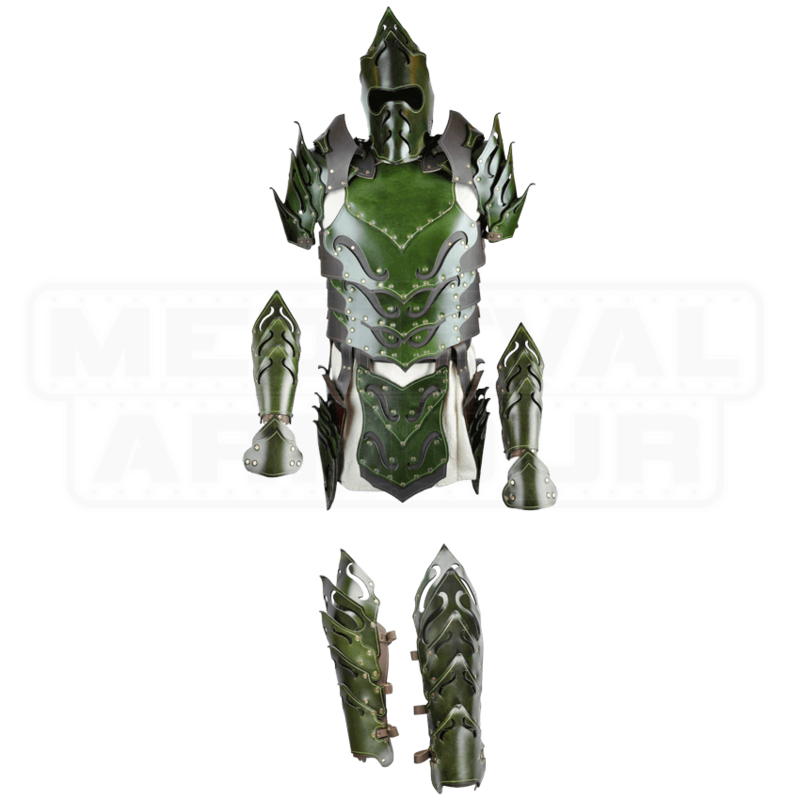 Thick layers of durable leather enclose the Elven guardian in a strong defense. The flexible segments permit the forest warrior to move with grace. Buckle straps and leather lacing increase the comfort and fit. The leaf-like design and elegant cutouts bespeaks a soul aligned with nature. 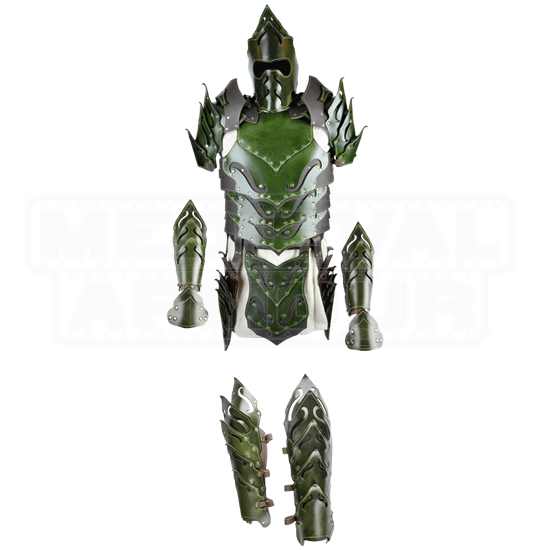 This complete set of armour proves a trusted ally to the wood elf that ventures upon LARP territory.